It’s a heavier record musically, easily Alice’s most metallic, and the themes that he tackles in the songs are heavier as well. It was part of a trio of heavier records, ending with 2001’s Dragontown, after which he returned to his garage rock roots. 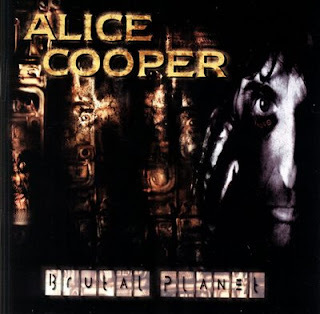 Brutal Planet won’t likely eclipse classics like Welcome to My Nightmare or Billion Dollar Babies on most fans’ lists of favorite Alice albums, but it belongs in the conversation. It’s a fascinating album both musically and thematically, and it’s just a damned good record on top of that. 3. Dio, Magica. Here’s a very underrated album from Dio. It’s a concept album based around a story that’s also narrated by Dio on the record. A lot of people overlook it, but it’s very good. Probably his best effort outside of his classic 1980s work. 4. Demons & Wizards, Demons & Wizards. A power metal dream team. Iced Earth bandleader Jon Schaffer teams up with Blind Guardian singer Hansi Kursch for a record that sounds like both bands and neither at the same time. 6. Pantera, Reinventing the Steel. Pantera was beginning to fray at the edges when this album as made, and though I really liked it at the time, in retrospect, you can hear the tension. 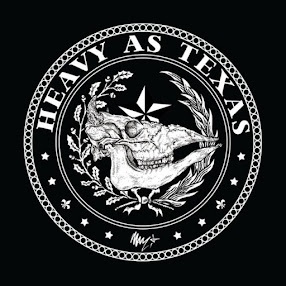 There are still some very good songs here, but in hindsight, it’s probably the band’s weakest record. 7. Armored Saint, Revelation. Coming off a six-year hiatus after John Bush joined Anthrax, Armored Saint proved they still had it, deliving an album every bit as good as the classic Symbol of Salvation. 8. Iron Maiden, Brave New World. With Bruce Dickinson back in the fold, Iron Maiden got about the business of putting the Blaze Bayley years behind them. With songs like “Ghost of the Navigator” and personal favorite “Dream of Mirrors,” Brave New World remains the band’s best effort since the reunion. 9. Trans-Siberian Orchestra, Beethoven’s Last Night. TSO’s first non-Christmas record turned some of Beethoven’s most well-known melodies into rock opera. There are also some great originals here, and we got to hear Jon Oliva for the first time on a TSO record. 10. Iommi, Iommi. Black Sabbath riffmaster Tony Iommi teamed up with vocalists from all corners of the metal world for this solo record. While a bit inconsistent, there are some fantastic performances here. 11. In Flames, Clayman. This was my introduction to In Flames. I was, and still am, only a dabbler in the more extreme metal genres, so I wasn’t aware of them until I heard “Pinball Map,” which inspired me to explore more of their work. Clayman remains a favorite of mine in their catalog. 12. Union Underground, An Education in Rebellion. A short-lived industrial-tinged nu-metal project, Union Underground doesn’t get a lot of recognition, but this was one of the better albums of the genre. 13. Johnny Cash, American III: Solitary Man. To me, this is one of the weakest entries of Cash’s American Recordings series, but still great. 14. Sentenced, Crimson. This was also my introduction to Sentenced, and I was immediately enthralled by the morbid, yet at times inspiring, doom and gloom. 15. Cypress Hill, Skull and Bones. I’m not crazy about the rap disc, but the rock disc alone makes it worth this list.